The DBK834 provides and easy to install, bolt on solution for upgrading the popular Mopar 8 3/4" & Dana 60 rear-end to disc brake performance. ** Note Does Not Come With E-Brake Cables. Application Notes=Parking brake cables sold separately. 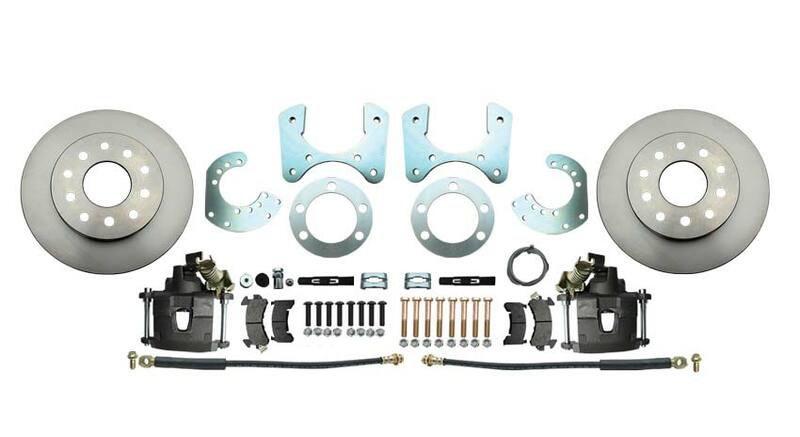 Works with 15"" or larger rims When upgrading rear brakes a larger bore master cylinder and disc/disc proportioning valve will be needed for correct operation.